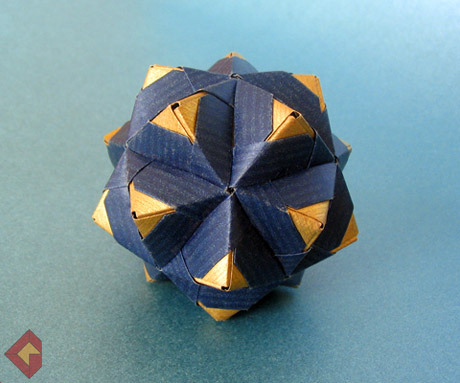 The solid is a spiky icosahedron based on Meenakshi’s Sonobe Variation 5 unit. We can make out two different platonic solids in this model. If we cut the pyramids off we will get icosahedron (twenty triangular sides) but if we connect vertices we will get dodecahedron (twelve pentagonal sides).